What does it take to start a business in our times? Are the threats and opportunities the same? What it takes to become an entrepreneur varies greatly from country to country. The model start-up company for Europe vs. US is definitely Prezi. 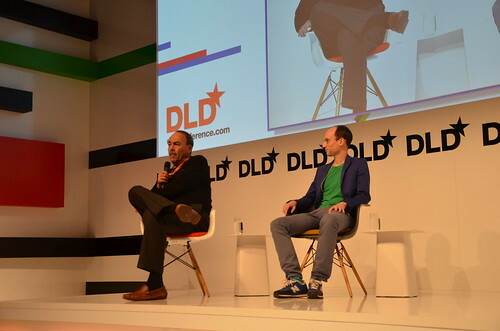 Joe Schoendorf welcomed Prezi Co-founder Peter Arvai on stage for a short talk about Prezi. Prezi is a flash-based fancy presentation tool to share and for co-working cool presentations and pitch ideas. It's possible to use it like a whiteboard and just have it as a presentation. It now has 18 Mio users worldwide, one Mio users added every month, soon it will be 2 Mio users who will join Prezi monthly. And this all started in Budapest/Hungary, Europe. The decision was easy for the founders - the both other co-founders are Hungarians and settled at Budapest, and Peter grew up with the Hungarian language and culture. The business model is really easy. All of the Prezis are public if you use the non-payment model. With paying for your Prezi account you can decide about the privacy of your presentations. The majority of Prezis are public but the company has no problem being profitable. So it has the time to explore the right way to go. Now they have 80 people working at Budapest, 120 employees at all with offices in the US and Asia. The discussion then joined Sam Shank (HotelTonight), Martin Varsavsky (FON), and Jack Hidary (Hidary Foundation) to talk about the difference of US and European start-ups. Sam Shank first announced the highly aggressive expansion of HotelTonight - it's now available in Germany and Switzerland and they will add a new city in Europe every week over the coming week. 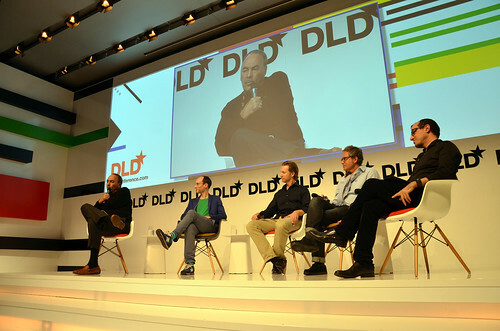 The session showed the success at Silicon Valley is a complex phenomenon, in Martin's opinion. A very small niche sector creates a high value and the people are usually not originally from the US. But this IT-scene has an impact on every other sector. This could be part of the success. Another point to consider is the European law system. It's not good for start-ups. Only the Cameron government was sensitive enough and changed some laws for a better start-up scene yet. Well, Europe needs to change their view on failure.